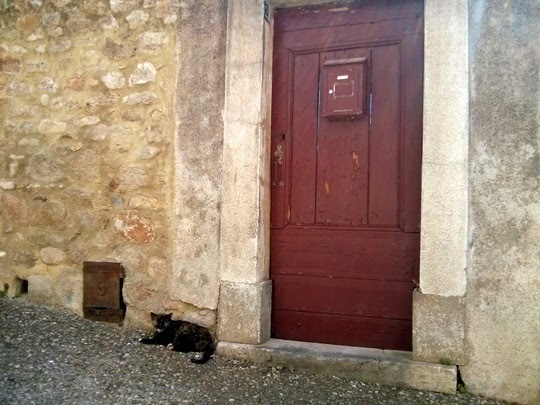 This traveling cat was spotted in Montolieu in the South of France. With its numerous antique book shops and monthly book market (third Sunday of every month), Montolieu is often called Village du livre or Village of Books. In fact, Montolieu counts more books than inhabitants. Cat pictures submitted by: Klaas Nijs. That little one almost blends in there! That looks a lovely place where you can take your time and enjoy meeting all the cats. i love that alley and cat. i guess i love the alleycat -LOL! beautiful door. more books than people? now thats a place i like to visit. charming. cheers!! I'd like a neighborhood like that! The cat looks quite comfortable! LOL so they are well read cats then. Have a marvellous Monday. Looks like she's resting right next to a mouse hole! That kitty looks super pretty. I hope she has a home. Actually, I hope all cats find homes of their very own. Nissy #Niss4Senate - tell the PM, today. Great place to hide! It took me awhile to find him. Quaint setting. I wonder if he says 'Miaow' in French? I love those narrow old European streets. With or without cats. It sounds like our mom's type of place! Handsome cats, pretty setting and lots of good books! That IS the life! J'aime les petites rues qui serpentent entre de vieilles maisons. Les chats sont leur âme. What a beautiful spot to be! This kitty is priceless! Gorgeous photo! Lovely village in the south of France, must be hot over there, the kitten is sleepy ! A terrific scene! In the UK the place where you go for all the books is Hay on Wye. 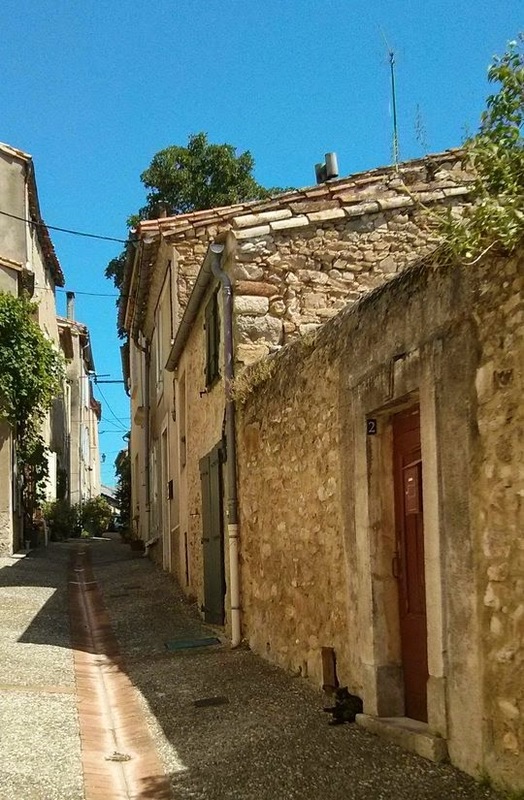 It also has narrow streets and old stone cottages! J'aime toujours croiser des chats, lors de mes promenades. Definitely sounds like my kind of place. If I ever make it to France, I need to visit there.